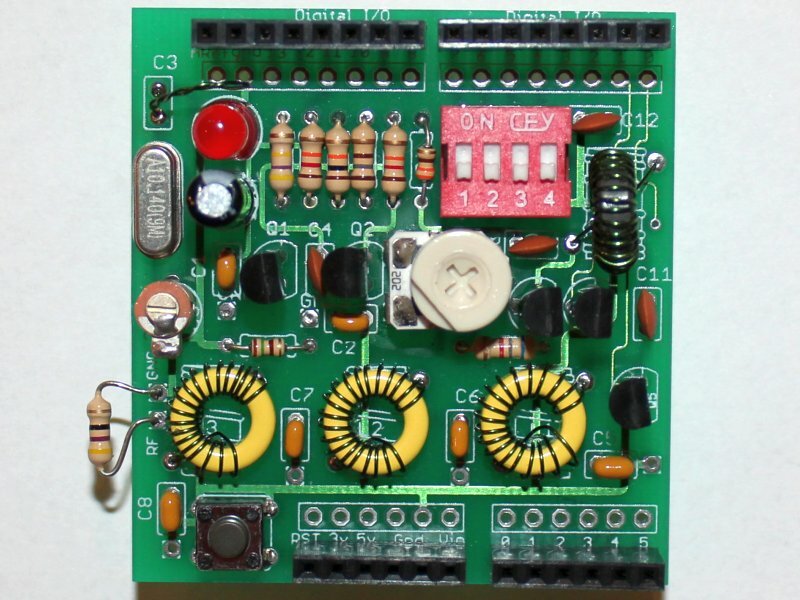 The Multimode QRSS Arduino shield kit was designed to accompany one of the chapters in the new ARRL book, "Ham Radio for Arduino and PICAXE". 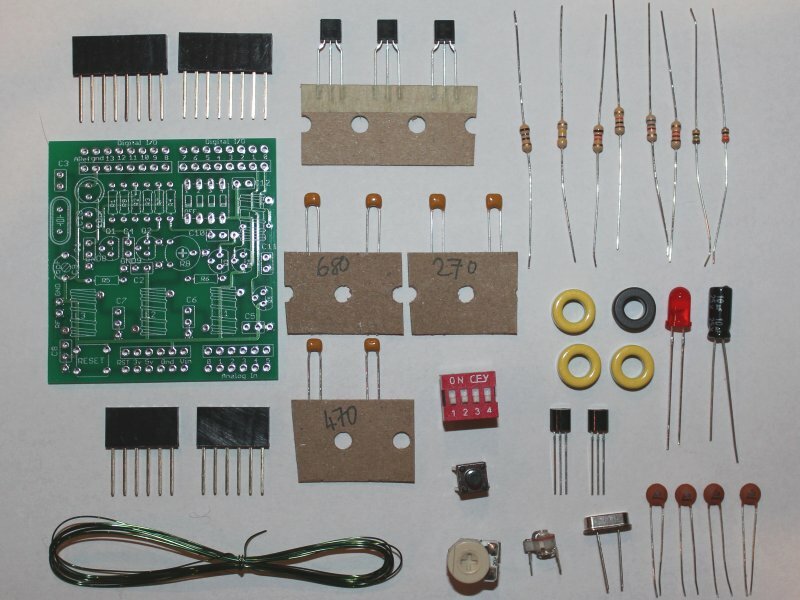 The kit has a crystal-controlled oscillator and PA providing approx 150mW of output RF power (depending on band). This kit has now been retired, and replaced by a new Arduino shield kit. It supports FSK modes and on/off keying, and is available for 80, 40 and 30m bands. A sample Arduino sketch is provided (see below) which demonstrates the use of of the shield in QRSS, DFCW and FSK/CW modes. 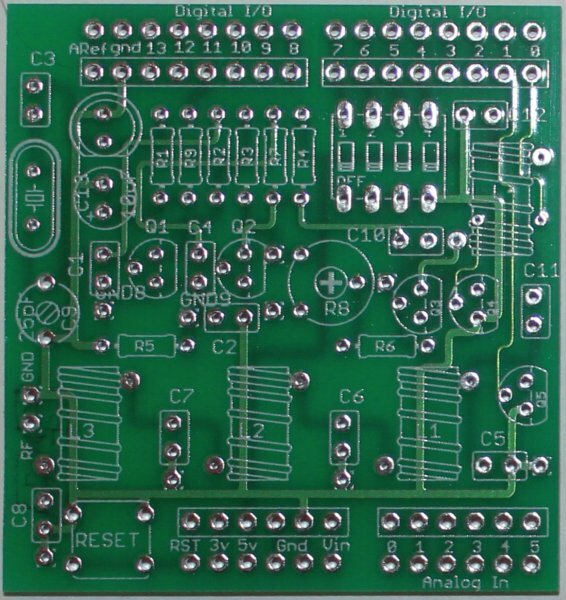 DOWNLOAD KIT INSTRUCTIONS by clicking here - printed instructions are not supplied with the kit.